Hay que presionar y mantener apretado el boton de LOAD/EJECT (tomar hoja) y el de Cleaning (limpieza) . We must press and hold the button LOAD / EJECT (take up) and the Cleaning (cleaning). Mientras mantienes apretados esos botones , tienes que presionar el boton de POWER (encendido) y tenerlo apretado hasta que las luces (ink out – tinta vacia y paper out- falta papel) empiezan a titilar o parpadear. While holding these buttons, you must press the power button (on) and keep it tight until the lights (ink out - empty ink and paper out-out of paper) start to flash or flicker. Cuadno suceda esto suelta todos los botones. When it has to happen this release all buttons. Cuando pasen 3 o 4 segundos apreta y mantenlo apretado el boton de CLEANING (limpieza) hasta que las luces que titilaban dejen de hacerlo. When you spend three or four seconds click and hold down the button CLEANING (cleaning) until the lights flickered stop. YA ESTA!!! NOW THIS! ya quedo lista para usarla!! and am ready to use! Seria conveniente que cada vez que se haga este procedimiento hacer una limpieza a la esponja interna de la impresora, por que alli deja depositado todo el exceso de tinta de la impresora y podria derramarse. It would be desirable that each time you do this procedure done to clean the sponge inside the printer, because there left on deposit all excess ink from the printer and may spill. Esto no es 100 % necesario pero seria muy bueno que lo hagas. This is not 100% necessary but it would be very good to do so. Reset a Cero del Contador de Nivel de tinta Residual. 2. Retentiendo el botón Resume/Cancel presione el botón POWER y mantenga presionado ambos botones- El indicador luminoso tomará el color verde. 4. Presione y suelte el botón Resume/Cancel una vez, reteniendo el botón POWER aún. 5. Presione nuevamente el botón Resume/Cancel y luego suelte ambos botones a la vez. 7. Apague la impresora mediante el botón POWER para que la configuración sea guardada. Si no se apaga en el primer intento presiónelo nuevamente. 8. De no quedar perenne la solución, ejecute el siguiente programa luego del procedimiento. Yo por mi parte investigue y encontre un programa que directamente resetea el contador de tinta para la ip1500, pero tambien funciona con la ip1000. 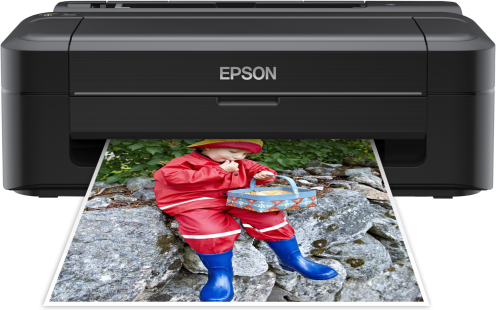 Adjustment program or software resetter for Epson PictureMate printer. On the internet I found two versions of Adjustment program for printers PictureMate, but it seem when the program run, there no difference about the both program. I tested to run this adjustment version in my computer, it no date setting requires like other adjustment program for epson printers. The PictureMate Adjustment program software can be used copy EEPRsaya data, Head Cleaning, Inkcharge, Check patter, reset waste ink counter and many again. 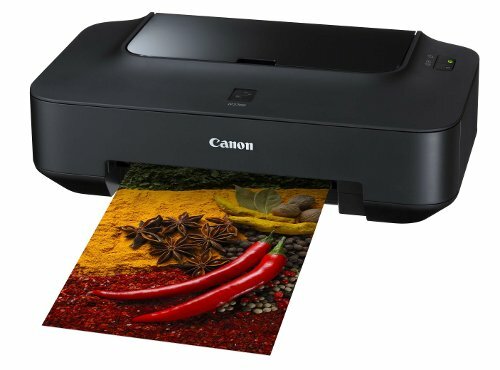 I dont know this software support for all Epson printers PictureMate version or not. But to use this software not differ with other adjustment program version. 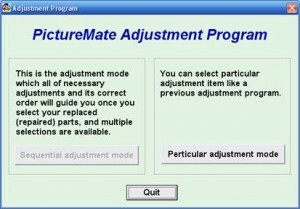 Here the screen shot of the adjustment program. Select consumable maintenance counter, then click ok. FIX PRINTER ERROR "parts inside printer end service life, waste ink pad counter overflow error"
Click "Select" button. 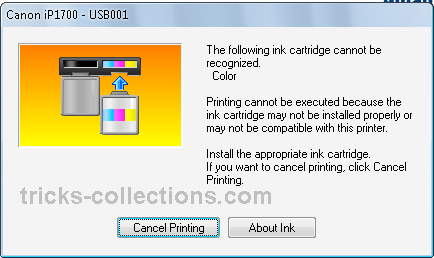 and select your printer model then click "OK"
Turn off the printer as a program instructed then turn on again. Click “Finish” button. and its done! Warning: You might end up with ink leaking out of the printer if you dont either replace the waste ink pad or install external waste bin. The printer is off and plugged the power cord. Then release the Resume button, but do not release the POWER button. Led will blink briefly and then will glow GREEN. This situation is called SERVICE MODE iP2770 and iP2770 ready to be reset. Extract the File iP2770 Resetter. 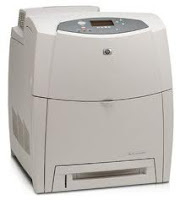 Prepare a two paper in the printer (to print at the time of the reset process). Click "MAIN", then the printer will proceed and iP2770 will print one page with the words "D = 000.0"
"TPage (TTL = 00 000)"
Click "Select" button. 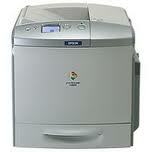 and choose your printer model then click "OK"
How To fix Error 13.09.00 indicates a paper delay jam has occurred. Remove any stuck media from the fuser access area, the duplexer area (if equiped) or the face down (top output) bin. The fuser may have a sticky exit sensor and is sensing the paper is there too long and throws up a jam. Le message "Clean Sensor" ou "Détecteur Nettoyage" a plusieurs causes. Close it very slowly: it will clean the sensor. Remove the waste ink box. Clean the exposure window: hold the knob (under the photoconductor cleaning knob) and move it slowly in and out a few times (5-10 times). Put back the waste ink box. Procedure 3: When using remanufactured toner. Look inside the transfert belt if a roller did not go out of its axis. In the EEPRsaya Operations click reset button. 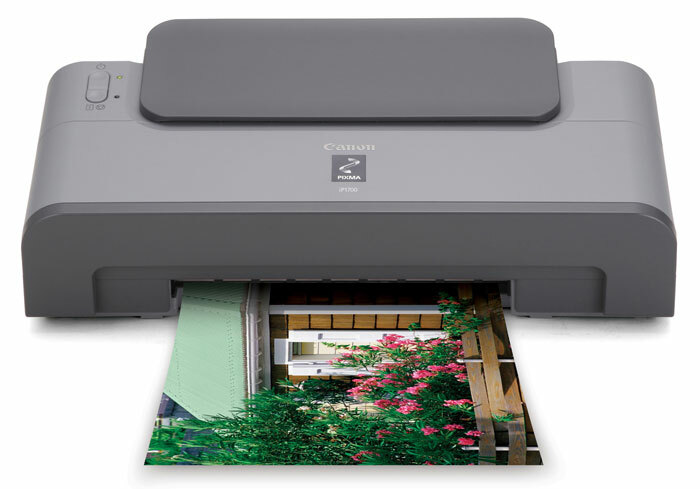 Turn off the printer and turn on again, the problem solved now your Canon printer becoming Canon Pixma iP 1700 again. Don’t switch of the printer (because if your trun off and turn on again the printer the problem still appear), Now reset the counter and EEPRsaya canon iP1700 using iPTool software (recommended).